Is there a better alternative to ZipCalc X? Is ZipCalc X really the best app in Vertical Markets category? Will ZipCalc X work good on macOS 10.13.4? 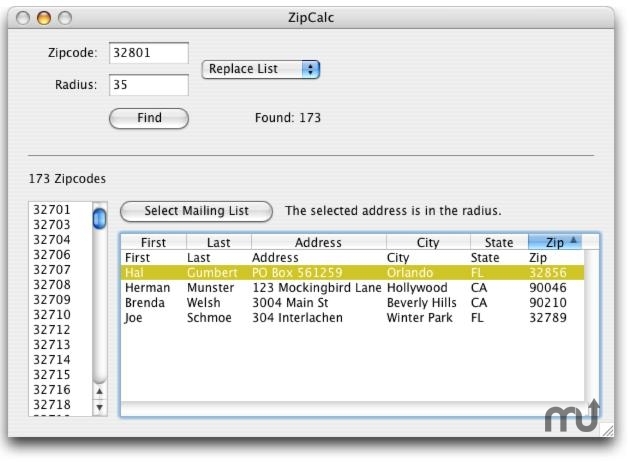 ZipCalc measures distance between zipcodes and finds other zipcodes in a given radius. It also exports zipcode lists or SCF lists. It processes your mailing list, pulling out addresses that are not within a certain radius. Added the ability to export the list of found zipcodes. Mac OS X 10.0 or later Tiger Compatible. ZipCalc X needs a rating. Be the first to rate this app and get the discussion started!